DNA analysis is a fascinating and rapidly growing area of research. Analysing DNA requires a number of complex processes including techniques such as polymerase chain reaction, purification using high performance liquid chromatography and capillary electrophoresis. Using microfluidic devices for DNA analysis offers many benefits, for example, enabling scientists to load very small samples into a capillary for electrophoresis separations. Furthermore, microfluidic systems provide a very accurate and repeatable solution as they only use micro-scale fluid volumes and allow precise control of temperature and reagent mixing. 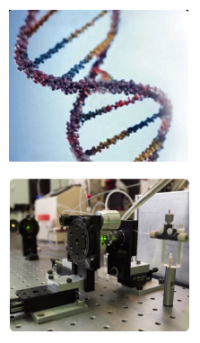 Dolomite has been working on a number of projects to automate and accelerate the processes involved in DNA analysis by developing custom microfluidic devices and systems.